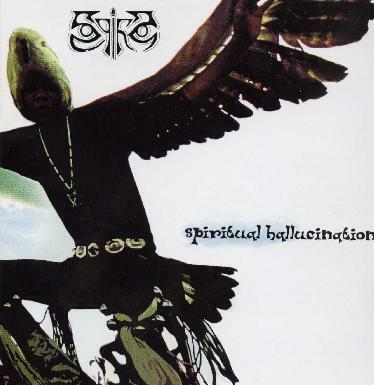 The very cool Finnish band Spiha are back with the studio follow up to their great CD, Egoreactor, one of my favourites from 2003. The band released a live CD in February this year but I have not heard that yet. While Spiha are getting larger and larger in Finland they are still nearly unknown outside Finland. Anyway, this 10 track CD features a wide variety of rock and roll, sometimes hard driving, sometimes quite commercial and sometimes psychedelic (but not much on this CD), but very unique. There is no band that sounds like Spiha! The opening track, "Rock and Roll", is a real rock number with some cool mouth harp playing as well. "Planet Horse" is next and this is the bands current single in Finland. It's a commercial rock track but not a ballad as it is quite hard driving at times but is quite catchy otherwise. "Master Reaper" has a down and dirty heavy metal riff and rocks like hell but has a strange part of the song as well that I can't understand. "Moondoll" begins as a airy, dreamy track with piano and lightly sung vocals, before the cool bass line kicks in and the track slowly builds before getting heavy and rocking like hell. A cool bluesy guitar solo follows the heavy part as well. Cool track. "King of Reason" mixes a heavy riff with a gothic organ like you would hear in Nightwish or something. Strange. "Neversleep" is a groovy melodic track. "Icebreaker", an old song that the band released as a single last year, is also on this CD. I like the original recording the best, as these later versions have lost the psychedelic edge of this great track. "Wheelie" starts with a down and dirty guitar riff and is a hard driving rock and roll anthem! "Until The Morning Has Gone" starts with a very cool spaced out guitar and is the only real psych rock track on the record but is also a bit of a dark ballad in some ways. The CD closes with "Crazy For My Love". For more information you can visit the Spiha web site at: http://www.spiha.net. Visit the Low Frequency Records web site at: http://www.lowfrequencyrecords.fi.